Does your EPOS system work for you? Is your till system or more commonly known, ‘EPOS system’ working for your business? With so many EPOS systems on the market, how can you decide what setup is right for you? The main question you need to ask yourself is what do you want it to do. It may seem fairly obvious, but so many EPOS systems are bought just to take ‘the sale’, with no further thought on the advanced feature sets that are available on the more established EPOS brands. Your EPOS system should be the ‘nuts and bolts’ of your business, be your most valued asset, have control of your business and be almost like your virtual employee. Don’t let your business performance slip under the radar. There are challenging times ahead, but by investing in a high quality EPOS system you will help secure the future of your business. Control – You need to be certain that your EPOS system will continue to manage the business, even when you are not there. EPOS systems often fail short of the mark when it comes to permissions and options that each of the users or sellers have. The more options you can specify per user, the greater control. Audit logs and a multitude of sales and item reports that are available at a click of a button will make a huge difference to managing the activities of the business. Visibility – Using the control of the reports, will give you the visibility of how the business is performing. Can you for example in 10 seconds find out how many teas and the value were sold in October? Imagine you sold 1500 teas. By increasing the price by just 15p, would return an extra £225. What stock is shifting well and what’s not selling. How often are customers returning? How much are your loyalty customers spending compared to last year. Visibility and Control are two critical areas that require minimal effort but when accessed and used regularly give significant results in managing the business regardless of whether you have one or several stores. Flexibility – Every EPOS solution we install is different, because the solution we give to our customers is tailor made and configured for their setup and operations. Every business is different which makes them successful on their own merits, so we believe that their EPOS setup needs to reflect this. From how sellers log on or clock in, to how items are displayed? How discounts are applied, and vouchers generated/redeemed there is an option that will work for you. Don’t be forced into a corner to operate the way that your EPOS system tells you to work. It’s your business and you should operate it the way you want to. Functionality – Reporting is one key area that is so important, but there are so many others. Online integration is a must for any retailer to boost sales for minimal effort. You should only have to put an item on the system once, which populates to the EPOS and Online as well as give live stock information. CHIP and PIN card reader integration prevents costly mistakes and should be used where possible. It is an industry standard now for restaurants and cafes to have a tablet to take orders on, something that we have been supporting for over ten years. With smart phones and devices so readily available, there is a shift in developing apps that can be used in conjunction with your EPOS system to act as temporary ‘tills’ during peak periods, or for events or mobile sellers. Other functionality may include the ability to perform stock takes, receive purchase orders, pick a web sales order. If the vision of your business is to grow, then choose an EPOS system that works for your vision. It may be that you have a small retail shop that does a little bit online, but if you have a system to support this growth without having to change anything, then it’s worth investing without the need for change. Ownership – While cloud EPOS systems have made huge advances in recent years it has also caused many problems for some business owners who often feel trapped into a contract. This is especially apparent where the EPOS data is not theirs to own, or if some or all of the points above are not being delivered in their ‘promised’ EPOS system. With the advances in technology, solid state drives (SSD) and fanless EPOS systems have increased reliability negating the essential need for Cloud Based EPOS. To summarise, if you have a business and you’re not getting everything you should out of your EPOS system, then maybe it’s time to change. We at Breckland Retail Services work with each and every business face to face. We take the time to understand their business, their core values and what they are trying to achieve. Knowing their business allows us to create the EPOS solution that fits their business model. Our success only ever comes from your success. New for 2018, our own brand of hardware available including our all-in-one till hardware, that we have been developing for the last six months. Available with the latest technology, with it's clean minimalistic look, it comes as standard with a powerful Intel fanless quad core processor and Solid State Drives (SSD). In addition to this, it has been designed with energy consumption in mind, having a low carbon footprint. Also available, which will come as our standard package (Till, Printer, Cash Draw & Scanner), is an 80mm receipt printer and bluetooth barcode scanner. 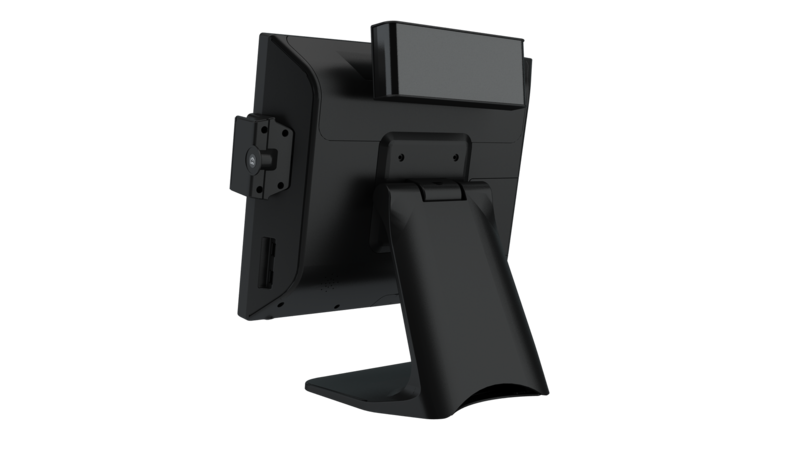 Optional extras are Magnetic Card Swipe reader, Android Stock Management Scanners & Android Tills. For more details please contact us. For over 30 years, ICG Software has been a leader in EPOS software throughout the world and continues to do so. They have just recently updated their stock management software to run from an Android device, so now you can perform Stock taking, create Purchase Orders, receive Purchase Deliveries, create Sales Orders, complete Sales Dispatches, print Labels, complete Warehouse transfers or just get the Item Information. Combined with ICG Manager/Retail, this will create a powerful solution for any shop/warehouse combination, saving you money and increasing productivity. If you are looking for a change in your EPoS system and want to be involved in something new, this is your chance to have a hospitality & restaurant software package to suit your every needs. If you have existing hardware, then we can validate the credibility of the existing hardware, if not, then we can provide you with hardware at your cost. * Enigma Software will be provided free of charge and all support will remain free for the life of the beta program. Any new or additional hardware will need to be purchased from us or our partners. You will be encourgaed to use all of the features for testing. Failure to comply to the program will result in termination of the support plan/program and you may be charged accordingly. Nearly everyone uses Microsoft Windows at some point in their personal or working lives. Take Android smartphones out of the equation, and it is still the world’s most popular operating system. In business, Windows has an enormous impact on the global economy. The total value of the transactions which take place on Windows systems worldwide each year runs into the trillions. EPoS systems which operate on Microsoft Windows are hugely popular. It is well known that Microsoft likes to revamp Windows from time to time and release new versions - over the past decade plus, we have had XP, Vista, Windows 7, Windows 8 and, most recently, Windows 10, each with their own family of editions and service packs. Long time Windows users will remember switching over from one system to another after buying a new device, or perhaps installing a new version on an existing computer. What is less widely understood is that, eventually, you more or less have to migrate from older versions of Windows to newer releases. And the timing of migration is tightly controlled by a piece of Microsoft policy - the Windows Lifecycle. What is the Windows Lifecycle? Microsoft’s policy is that every version of Windows should have an active lifespan of roughly 10 years from first release to the end of product support. Every Windows product also has a commercial lifespan which determines when it is available to buy - for example, last year marked the end of sales of systems preloaded with Windows 7 Professional, Windows 8 and Windows 8.1. But the overall lifecycle is ended when Microsoft stops providing support for a particular version. Support broadly means two things - security and updates. And each product has two key dates in the winding down of its product support - the end of mainstream support, when non-security updates are ended, and the end of extended support, which ends the availability of security updates. How does this affect my EPoS System? 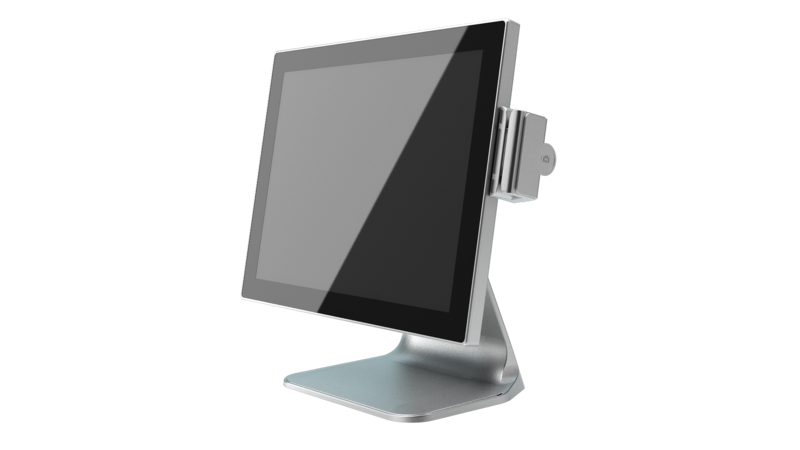 A large number of EPoS systems currently in operation run Windows 7 or Windows 8. For Windows 7, updates ceased being available in January 2015, which means you can no longer install patches to fix known issues or to improve how the machine performs alongside other systems. That will run out for Windows 8 in January 2018. Both, however, are still covered by security updates. As long as you are using Windows 7 service pack 1, extended support will run until 2020, and for Windows 8 up until January 2023. Security support is crucial because the threat from malware is always changing, and cybercriminals are constantly seeking out weak spots which allow them to get into a computerised system. As long as extended support is provided, Microsoft is also seeking out these weak spots in the Windows architecture and working to fix them, so your EPoS system is still protected. If your EPoS system still operates on Windows 7or Windows 8, the good news is,you still have time. Although you will not receive any more product updates, you still have a few years before security protection ends. That is plenty of time to plan your upgrade.